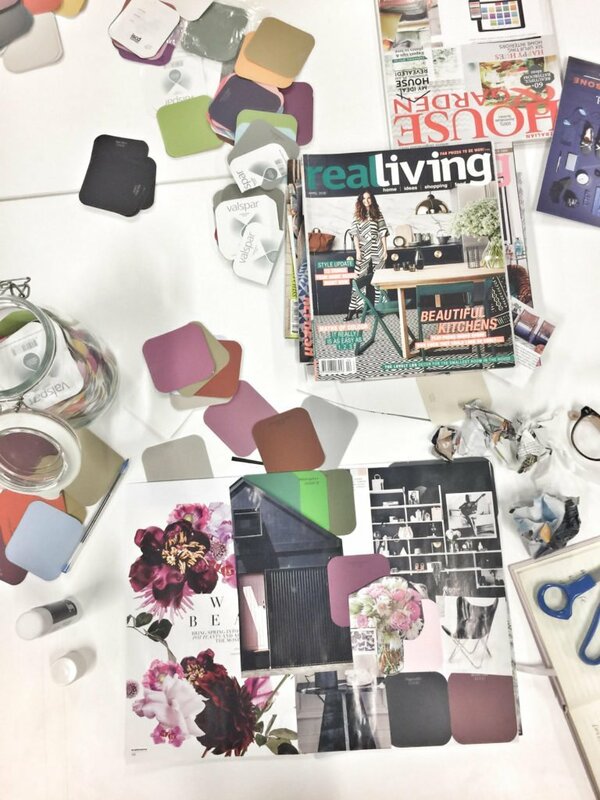 Earlier this week, I sat with wine in hand and piles of glossy interiors magazines in front of me as I was treated to the brains and charm of interior designer Petrina Turner as she led the ‘2017’s Design Trends’ workshop by the International School of Colour and Design here in Melbourne. What fun! 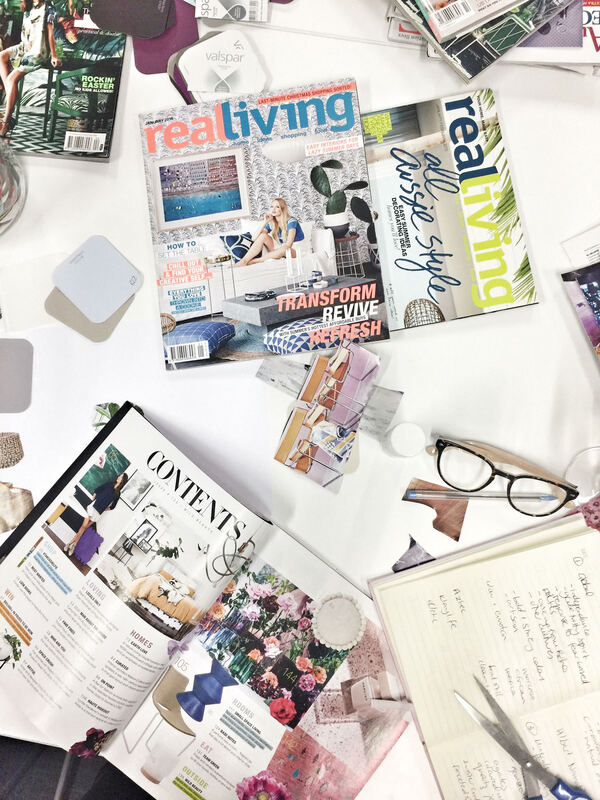 The workshop was a great chance to dig into some of the central trends currently showing in interiors this year and explore their influences – whether political, environmental or social. 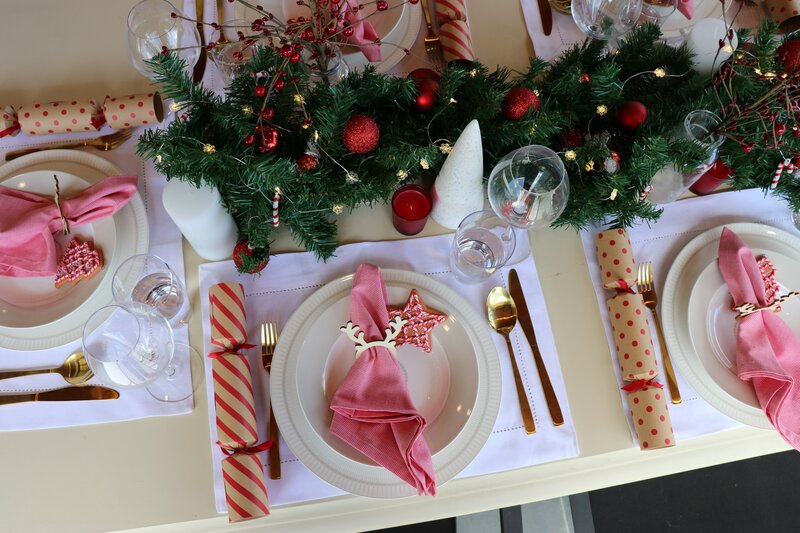 I discovered a few new designers and brands that I am now eagerly following, as well as learnt about not only the trends but also industry insights from Petrina’s generous sharing of knowledge. 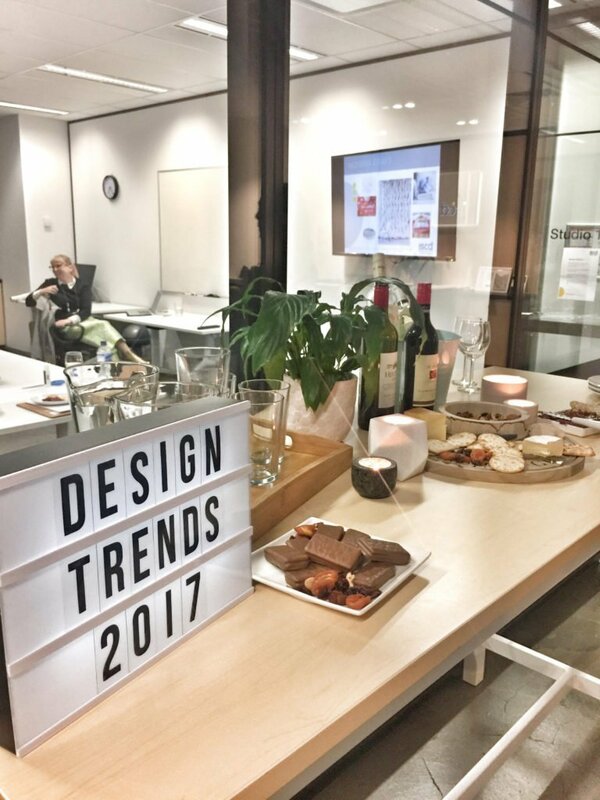 So, take a read of this year’s prominent trends and explore more of ISCD interiors short courses and workshops here! This trend is a response to the fear-based politics that have been circulating over the last few years. It is a progression from boho (one of my soft spots in design! ), and is all about bold and striking colours and introducing different cultural artefacts, while still being clean and modern. A perfect example of this trend are the gorgeous pieces by Klaylife, such as below. 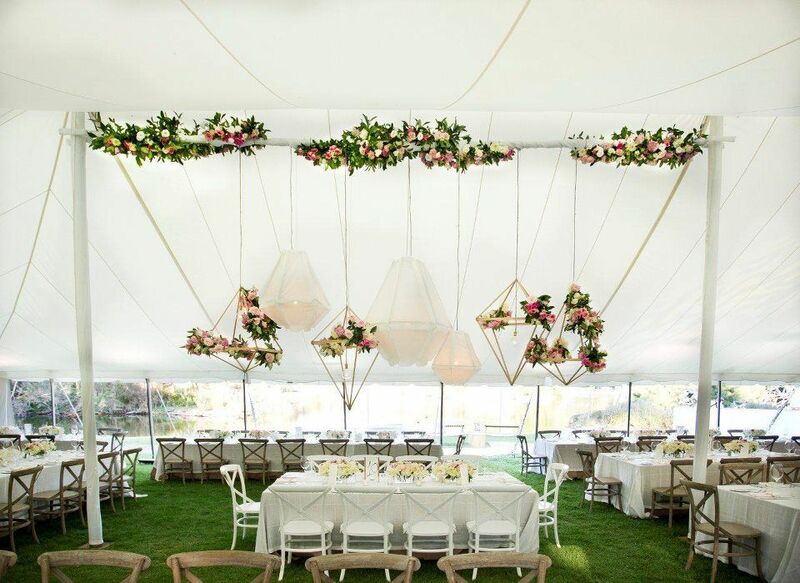 This stunning image features Klaylife’s blush pink ombré LIM chandelier and was shot for Dulux Australia and styled by Heather Nette King and Bree Leech. Petrina explained how in this fast-paced world, we’re more and more looking to slow things down, get back to nature and be grounded. Hence this year’s ‘Earth’ trend. The colours of this are gorgeous. 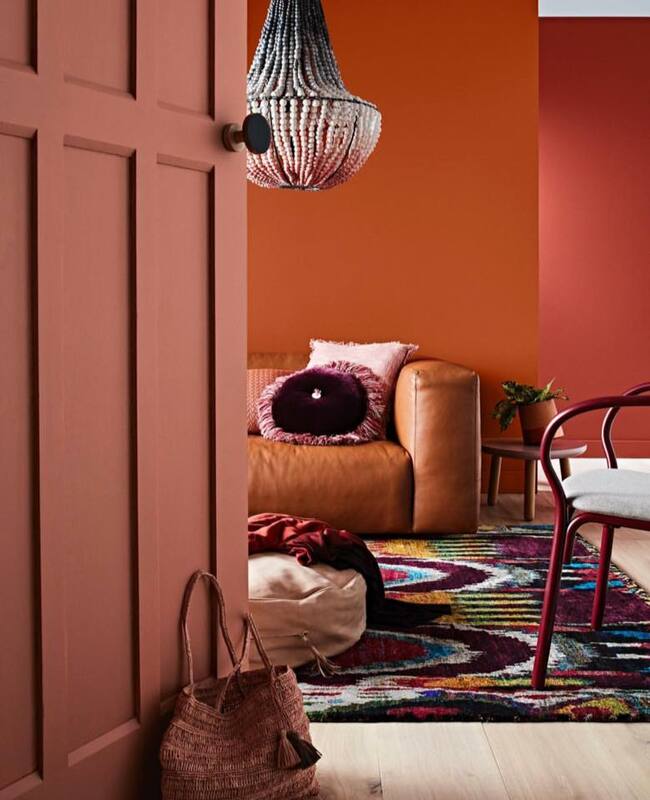 Think cinnamon, saffron, turmeric and – the big one in both colour and materials right now – terracotta. This image below from Dezeen sums this warm, wholesome trend up perfectly. This is a fun one! It again harps back to the notion of us as humans in the current landscape wanting to feel more centered. We are seeking out natural therapies and holistic remedies. 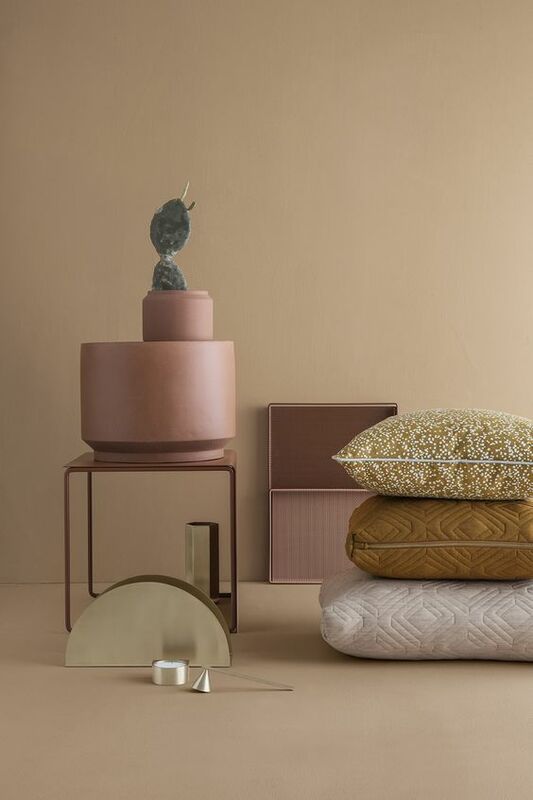 Design wise, this trend is seen in the use of gemstones, coloured marbles and agates in our furnishings, styled on a coffee table or used to embellish decorate pieces. 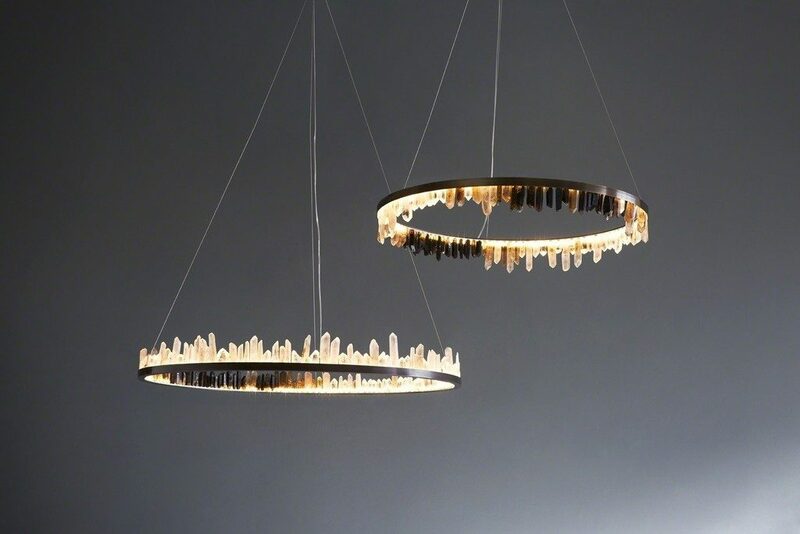 Case in point are the stunning ‘Smoky Quartz’ and ‘Prometheus’ lighting designs by talented Melbourne-based industrial designer Christopher Boots, as seen below. It’s not longer about the rose gold and copper, but instead all about aged and brushed metals such as bronze, onyx and antique gold. 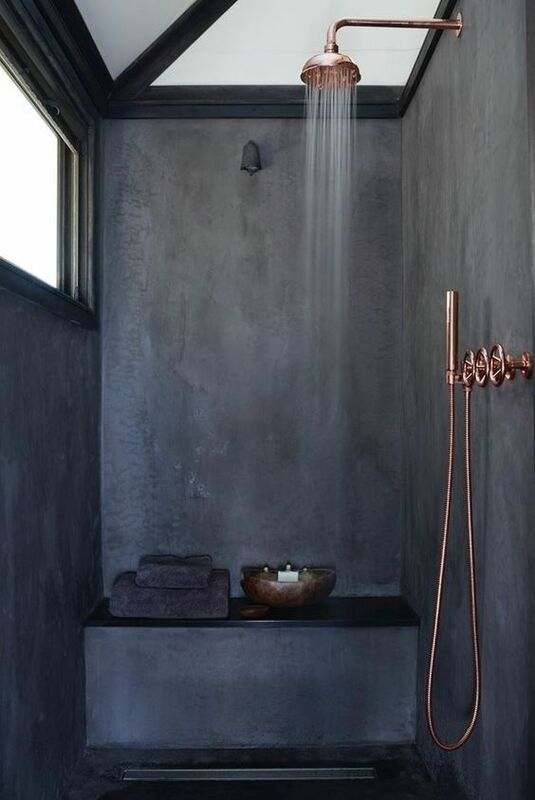 In this trend, we can mix the matt and shiny metals and in general, go for earthier metals than we have in the past… just like this tap-ware below, with the image from here. Again, seeking a slower paced life and as a response to the saturation of technology and social media in our lives, Petrina explained how ‘modern craft’ is both a pastime and design trend gaining mainstream momentum. I know just in my neighbourhood, there are many macrame, pottery and painting classes popping up. It’s all about tactile experiences and getting away from those incessant social media notifications. You can see in the image below how this trend plays closely into the ‘Global’ trend too. Image from here. No surprises here! Greenery is the 2017 Pantone Colour of the Year, so of course it has to be on the list! I’m enjoying seeing the colour come through in many fashion lines with beautiful emerald tones. 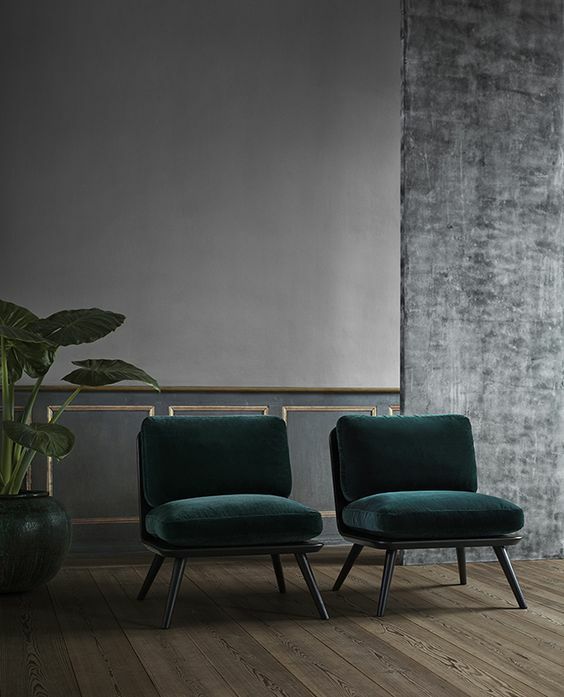 The same can be said for furnishings, and my favourite way to introduce this trend is with velvet, deep green cushions and even occasional chairs. 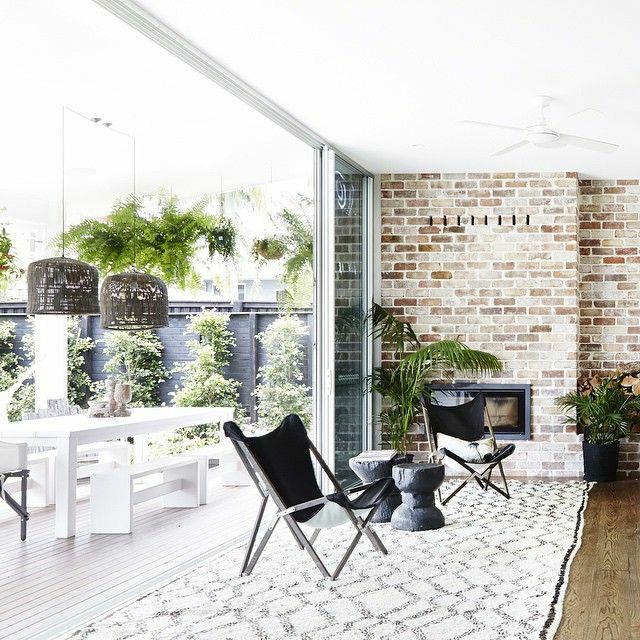 Another aspect of this trend is greenery as literal things in our homes: plants! I’m a big advocate for introducing indoor plants around the home. I’m eyeing off some nice big fiddle fig leaf trees for my place at the moment! Below you can see Space Copenhagen’s ‘Spine Lounge Petite’ chairs as a great depiction of this trend. Pink – or more specifically ‘Rose Quartz’ – was one of the 2016 Pantone Colours of the Year (for the first time there were two colours named, the other being a blue called ‘Serenity’). 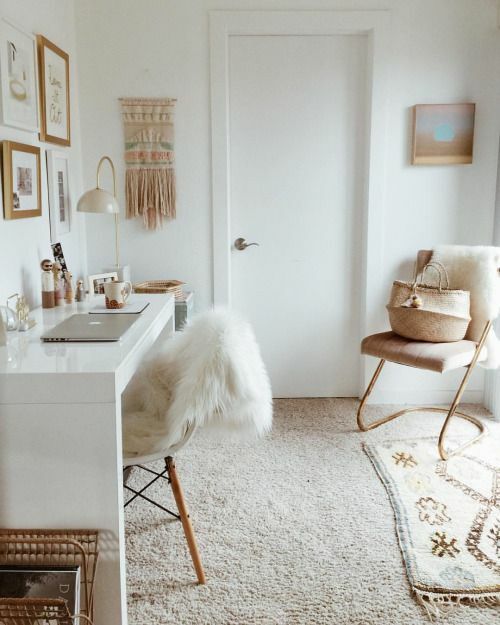 Just as the other trends interrelate, you can see how this one pairs well with the ‘Minerals’ trend, through styling pieces like pink quartz crystals. 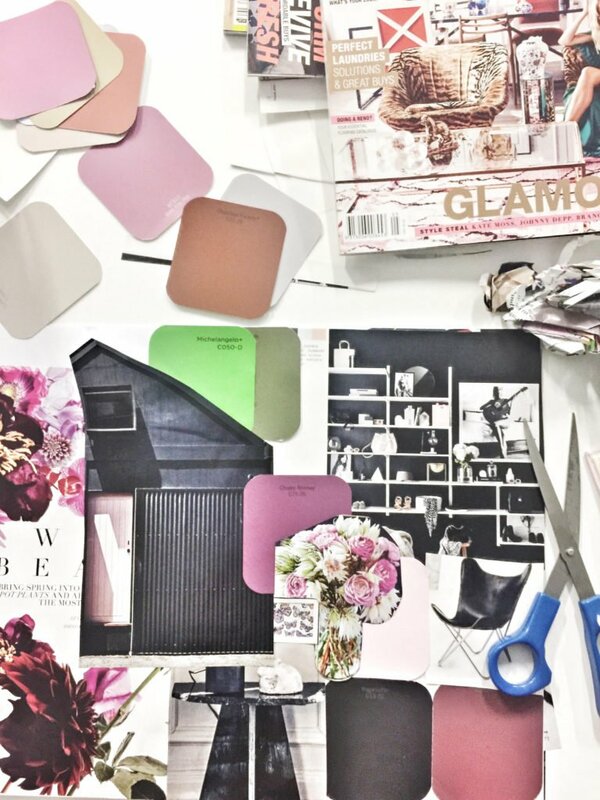 Petrina explained how there is also a move towards a monochromatic, pink palette in interiors, with pink on pink being used. 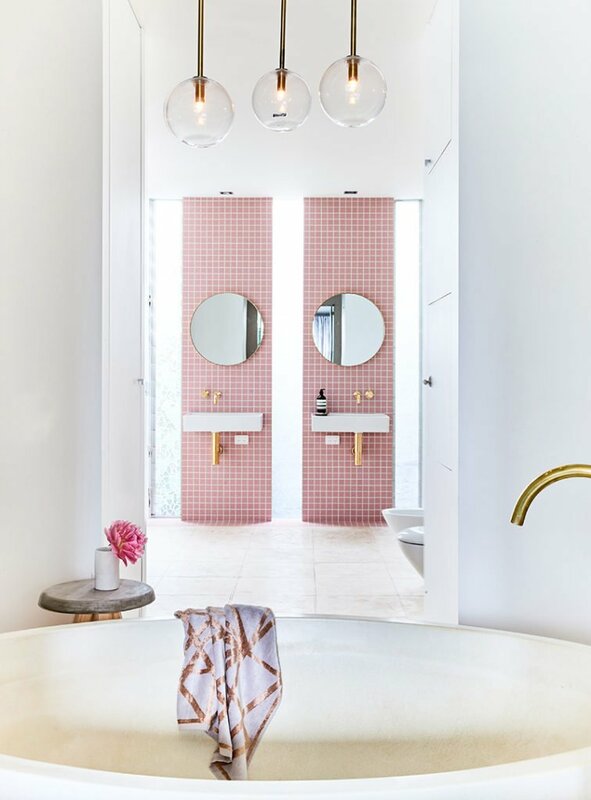 It’s hard to go past this bathroom by Bec Judd Loves’ Style School as an example of this trend. Finally – and one of my favourites – we have ‘Botanical’. It’s all about organic, billowing, overblown florals being introduced as large scale prints in fabrics, wallpaper and art. 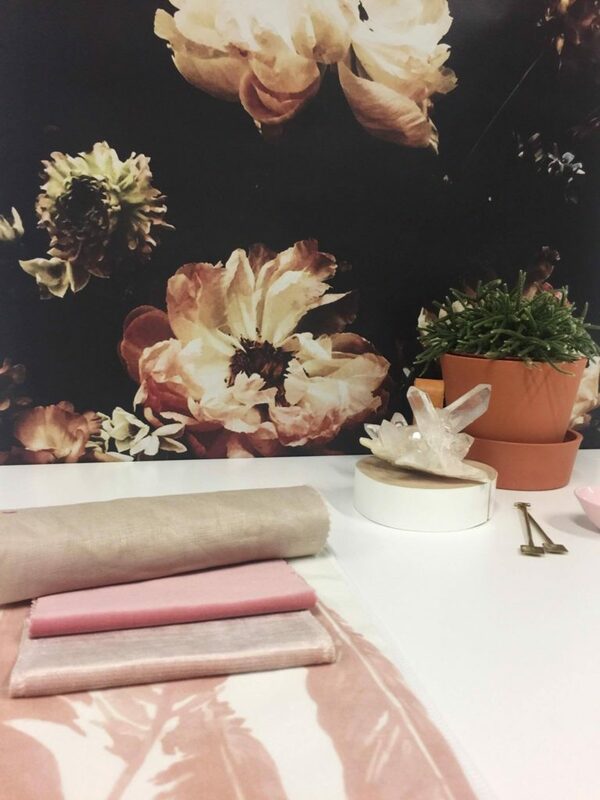 Petrina introduced us to US-based photographer and florist Ashley Woodson Bailey and her incredible digitally printed wallpaper, as seen ‘in situ’ in this shot from the workshop below. As you can see, the filtering and editing of the original florals makes this look very ‘Dutch Masters’ in style. And that’s it! The 8 biggest design trends of 2017. If I’ve missed one out, let me know below and tell me your personal favourite too!